Because the World Cup…the premier sports event in the world…is now underway, I thought it would be worthwhile to examine the work of Walter Iooss, who is probably the premier sports photographer in the world. Normally we only examine one photograph (and in the future we’ll continue to focus on one photograph), but this Sunday and this photographer will be an exception. 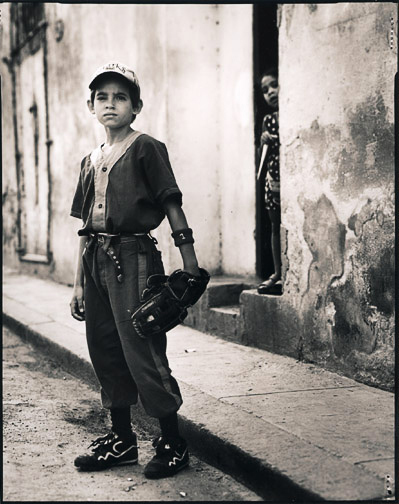 Walter Iooss, born in 1943, was initially more interested in sports than photography; the photography was just a means to get him near the games and the people who played them. He got his first assignment (to photograph an 80 year old man who’d built a boat) at age 16. By 19 he was good enough to be hired by Sports Illustrated. Iooss used a 35mm Nikon with its quickly interchangeable lenses to get shots that were impossible with the unwieldy 4X5 Speed Grafix cameras most sports photographers were using at that time. 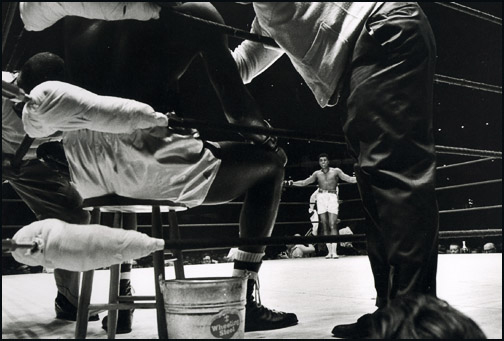 The smaller camera gave him more freedom of movement and that freedom was expressed in photographs unlike anything that had been seen (like the following image of Muhammed Ali in 1967). As he became more famous as a photographer, Iooss’ style changed. Photography was no longer just a means to get into games; he began to love the craft for itself. He became more interested in creating iconic images that represented sports or specific players than the games they actually played. He photographed fewer sports events and did more controlled work in studios. During this period Iooss also began shooting the models for Sports Illustrated’s swimsuit issue. 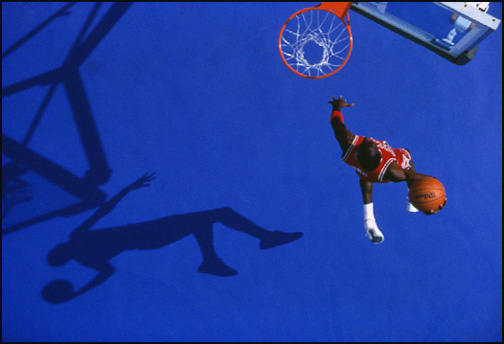 The following photograph of Michael Jordan (taken in 1997) is illustrative of this period of Iooss’ career. Lately, though, it appears Iooss is returning to his roots. Although he continues to shoot sports events and sports icons and models, he’s also turning his eye to the most pure aspect of sports: kids. Poor kids in out of the way places, kids who love sports simply because of the sheer joy to be found in playing games. Kids like this one he found on the street in Havana, Cuba in 1999. In a recent interview, Iooss spoke of these kids and the places he’s found them. He said, "These are places where you find what is left of sports—without the commercialization. After all, the fantasy of sports lies in a child’s heart and mind." And that sentiment perfectly describes what’s going on behind the eyes of every child in the world as they watch the World Cup.